This six-port USB charging hub doesn’t have USB-C like some others we’ve seen, but it does include a Quick Charge 3.0 port. That can charge certain Android phones more quickly, obviously, but what you may not realize is that QC 3.0 is required for any Qi charger that outputs the maximum 7.5 for the latest iPhones. For example, this pad from Anker (also 20% off with a clippable coupon), which doesn’t include a Quick Charge wall adapter in the box. 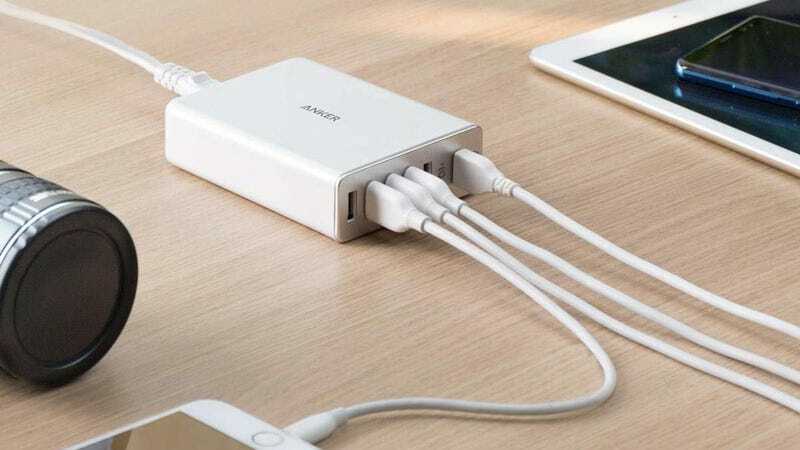 Get it for $23 today (down from $33) when you apply code ANKERPW6 at checkout.